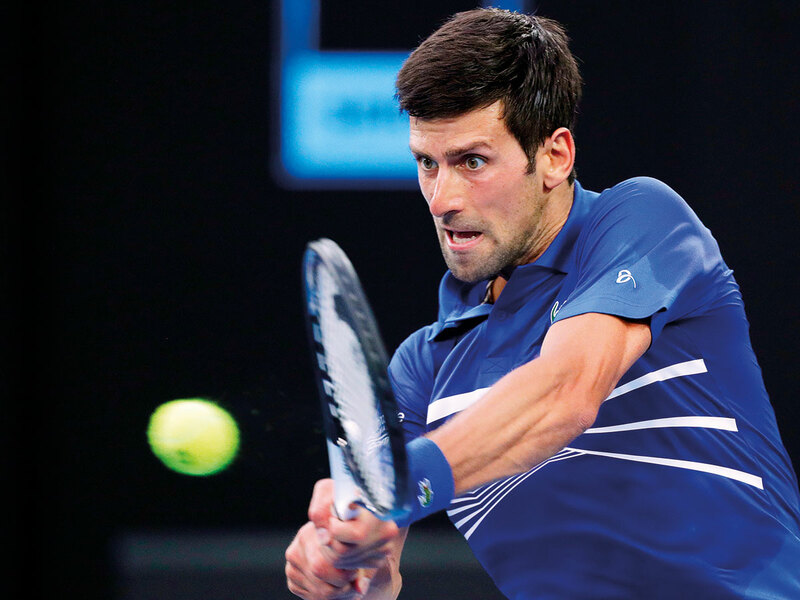 Melbourne: Top seed Novak Djokovic looked every inch the Australian Open favourite as he kicked off his bid for a record seventh title at Melbourne Park with an emphatic 6-3 6-2 6-2 win over American qualifier Mitchell Krueger on Tuesday. Simona Halep, the women’s No. 1, come from a set down against Kaia Kanepi in a 6-7(2) 6-4 6-2 victory and survive a repeat of a first-round Grand Slam exit at the hands of the Estonian. Soaking up the Rod Laver Arena limelight, Djokovic moved superbly in his opener and hit 42 winners to wrap up the one-sided clash in little more than two hours. Djokovic bowed out of the fourth round of last year’s tournament bothered by a painful elbow injury but successfully came back from surgery to win Wimbledon and the US. Open. Now free from fitness problems, the 31-year-old Serb is savouring his return to a tournament he has virtually owned for the last decade. “It feels great to be healthy and back on this court again,” the 14-times Grand Slam champion told reporters. “Twelve months ago it was quite a different sensation on the court with the elbow injury. Twelve months forward, obviously things are quite different. “Hopefully I can follow up on this victory tonight with a good performance.” Despite the scoreline, the 230th-ranked Krueger hardly disgraced himself and broke Djokovic in the third game of the first set. That was as good as it got for the American, as the Serb knuckled down to break right back and coasted to an easy victory. Djokovic will next meet French wildcard Jo-Wilfried Tsonga, the man he beat for the 2008 trophy and his first ever Grand Slam title at the age of 20. In a rematch of last year’s US Open first round, where Kanepi dumped her out in straight sets, Halep had to dig deep against the powerful groundstrokes of her opponent, who is ranked 71 but had not played since New York. “At one point I didn’t know what to do any more because the ball was coming so strong. I just thought that I have to be strong on the legs, to be there closer to the line,” Halep said in her post-match news conference. The Romanian has struggled for form and fitness since her first-round defeat at Flushing Meadows last August and came into the year’s first Grand Slam short of preparation after a back injury ended her 2018 season prematurely. Halep was on a five-match losing streak before the match and had to make sure she kept her unforced errors to a minimum. A focused Serena Williams sent an ominous Open warning with a 49-minute first-round demolition of fellow mum Tatjana Maria, pummelling her German opponent 6-0, 6-2.